The SPRING INITIALIZR at https://start.spring.io has been around for a while and is the best way to bootstrap a new Spring Boot application. So far, there hasn’t been a similar way to bootstrap a new MicroProfile project even if the different vendors have provided starters for their implementations. But the wait is over! The MicroProfile Starter is currently in “Beta”, but works like a charm. Just navigate to https://start.microprofile.io and start generating. 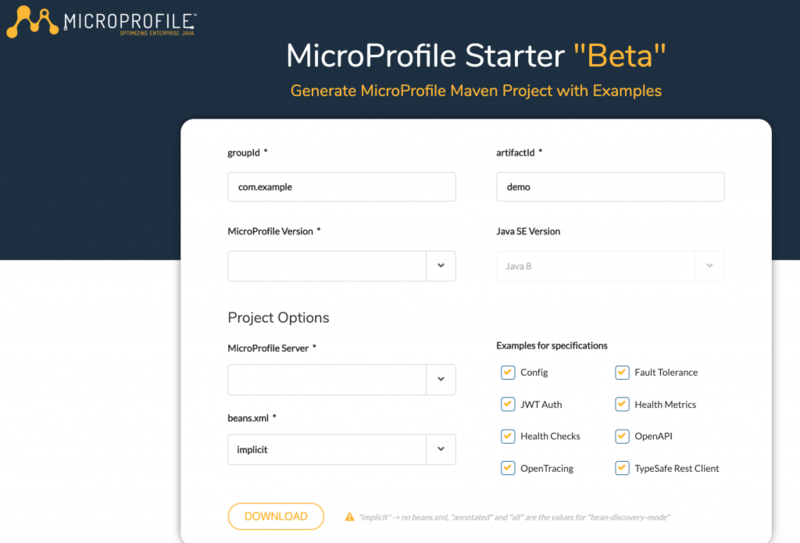 Based on which version of MicroProfile you select, you will get the available implementations that supports that particular version. 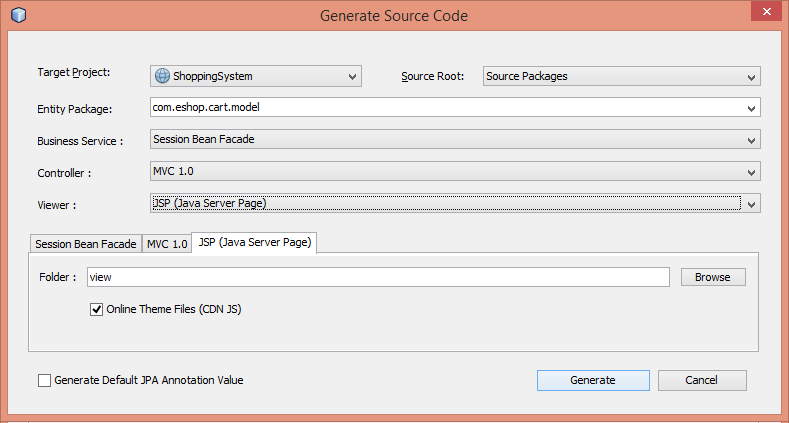 You have the option of generating examples for the specifications included in the selected version. This is an excellent way to learn how the different technologies work. I am proud to announce that I have been added to the DZone Most Valuable Blogger (MVB) Program. In practice, this means that they will select among my published blog posts/articles and republish it on DZone. The list of my DZone articles can be found here. Are you in possession of artistic and/or creative skills and want to contribute to an Open Source project? Snoop is an open source service registry and discovery mechanism for Java EE based microservices that is in desperate need of a logo. Have a look at https://github.com/ivargrimstad/snoop/issues/13 and see if you can help. Check out Snoop@GitHub for more information about Snoop. But, apart from a couple of missing images that will be added within the next couple of days, I think the result turned out pretty good! An explanation may be in order. Snoop is an experimental open source discovery service for Java EE that I created as a demo for my presentation at JavaLand earlier this year. After that I have developed it a little further and now I deem it good enough to be showcased more publicly. The Snoop Service is also available in Maven Central and for convenience available as a Docker image. The GitHub project contains the source code as well as more documentation.